We connect the university's academics and research to people throughout the world who long to expand their horizons. We plan conferences, seminars and workshops that meet each group's unique needs and learning styles. Private and public sector organizations seek answers to challenging issues through innovative solutions and high-quality learning experiences. As part of Virginia Tech Outreach and International Affairs, Continuing and Professional Education works with Virginia Tech teaching and research faculty, academic, government, and business leaders, as well as community partners to offer customized programs that achieve results. Plan your next academic symposium, conference or workshop. Plan your next government-agency sponsored symposium, conference or workshop. Arrange your next training opportunity. 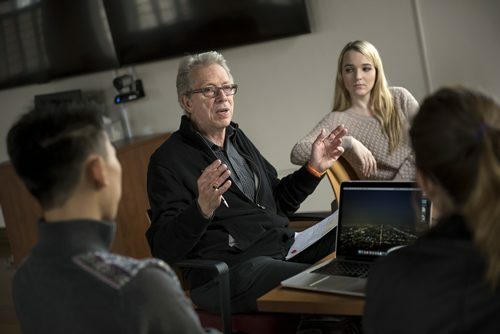 Virginia Tech Continuing and Professional Education is your point of contact if you are an academic, government or corporate thought leader interested in designing programs that transform individuals, organizations and communities through innovative learning experiences. "It would not have been possible to organize and hold this conference at Virginia Tech without CPE being part of the planning and implementation." For weather or disaster-related program cancellation or postponement information, please call 540-231-9489. Looking for programs or courses? Visit our program site.